Blogging is not what it was 10 years ago. Getting a blog post to rank in Google is becoming increasingly difficult. YouTube has changed a lot as well: Getting videos to rank on the platform is not as easy as it used to be. However, what separates blog posts from videos is that consumers are now demanding videos. For the busy and short-attentioned, videos can get information across to searchers with less effort and in a more engaging way. Accordingly, for certain searches, quality videos are rising above quality blog posts in search results, especially on Google. If you are blogging and merely hoping that your posts will rank, you are likely going to be disappointed: The game is changing. But creating videos can afford you an opportunity to rise above all the boring, anonymous, no-personality content out there. Here is how you can start optimizing your YouTube videos for Google ranking. Do a Google search to see which videos are ranking. If there are no videos ranking, then there is probably a good reason for that: Google believes videos aren't the best format to deliver results for that search. Look at the top menu to see where the Video tab is positioned, the closer it is to the left, the more valuable video is for that specific search. 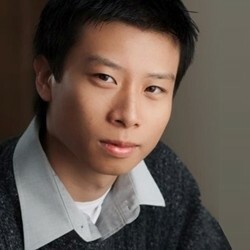 Elliot Chan is the content marketing specialist for video-editing software provider Wondershare Filmora.